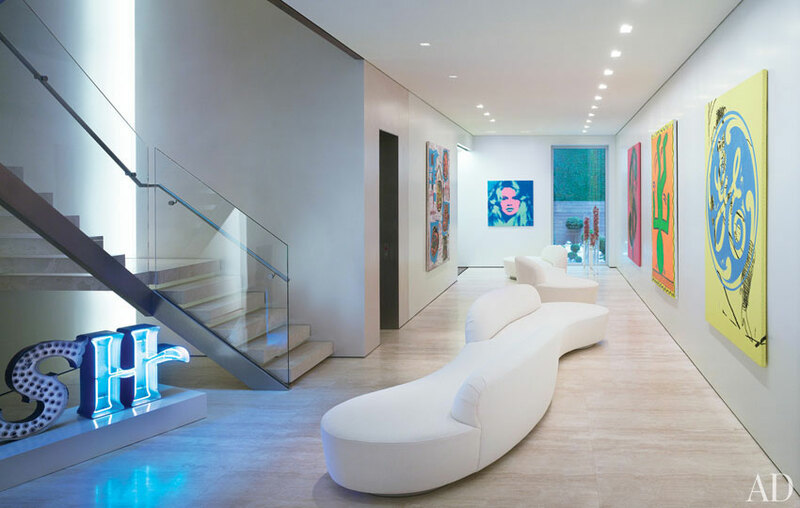 We love Donny Deutsch, but we're really loving his ridiculous Upper East Side townhouse! The land marked limestone mansion nestled between 5th Avenue and Madison Avenue is surrounded by the Metropolitan Museum of Art, designer shoppes, world class restaurants and glorious Central Park. Upon entering the 5 floor, 5 bedroom, 15,000 square foot home, you are greeted by eye popping artwork, architectural details and the energetic appeal only Donny D can pull off. 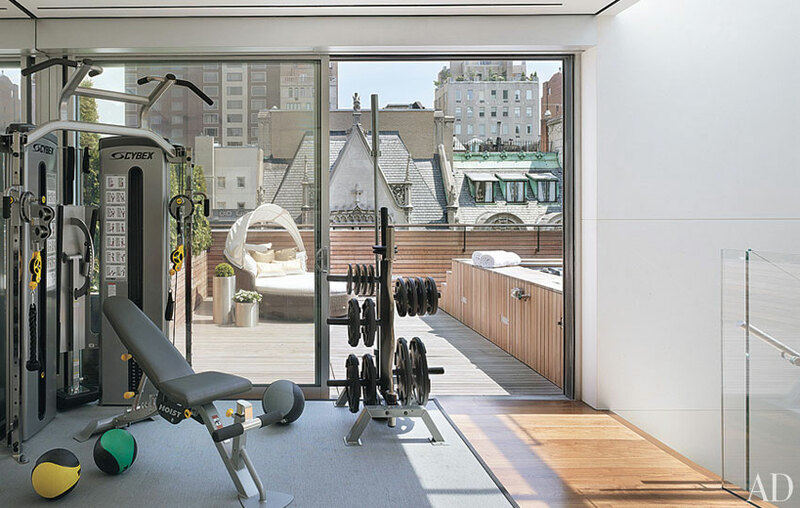 After undergoing a complete remodel, the home on Manhattans gold coast features a chefs kitchen with Miele appliances and white marble counters, glass and stone floating staircases, entertaining galleries and a rooftop gym with outdoor sundeck. Andy Warhol and Damien Hirst paintings line the walls, while the bedroom decor is straight out of a magazine (and now in one). The property is truly a work of art. Pick up this months Architectural Digest for the full tour, but in the mean time feast your eyes on some interior snaps below. For those interested in similar properties, please contact our team.